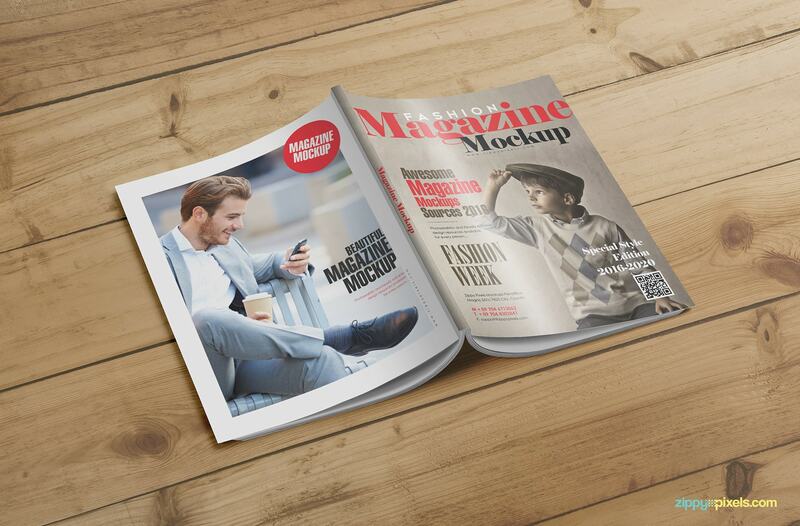 15 premium US letter size magazine cover mockups and inner page mockups that are able to show-off your fashion, editorial and image based designs beautifully. 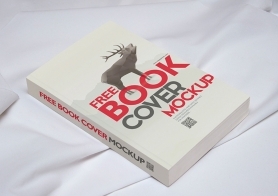 Featuring 8.5 x 11 inch page layout with customizable cover design (front/back), inner page design, shadows and background image. 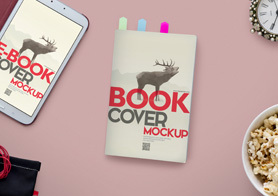 You also get some bonus goodies in form of an iPhone 6S mockup with editable screen design as well as a pair of sunglasses that you can show/hide depending on your design requirements. 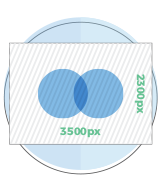 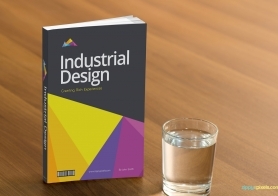 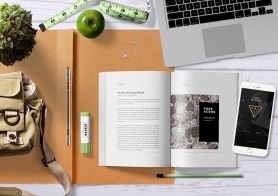 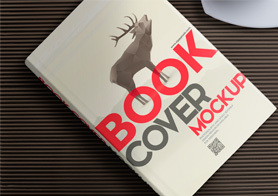 To make to the design replacement process totally effortless for you, each included PSD mockup in this volume uses Smart Object based structure. 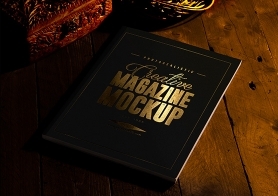 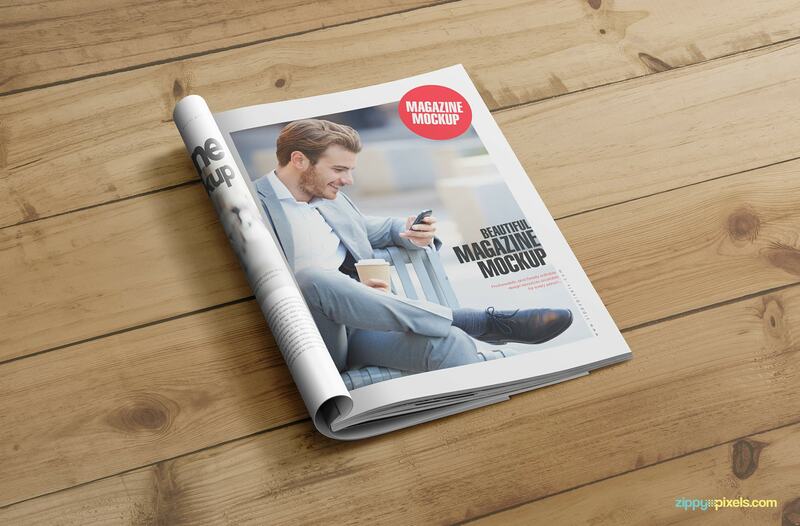 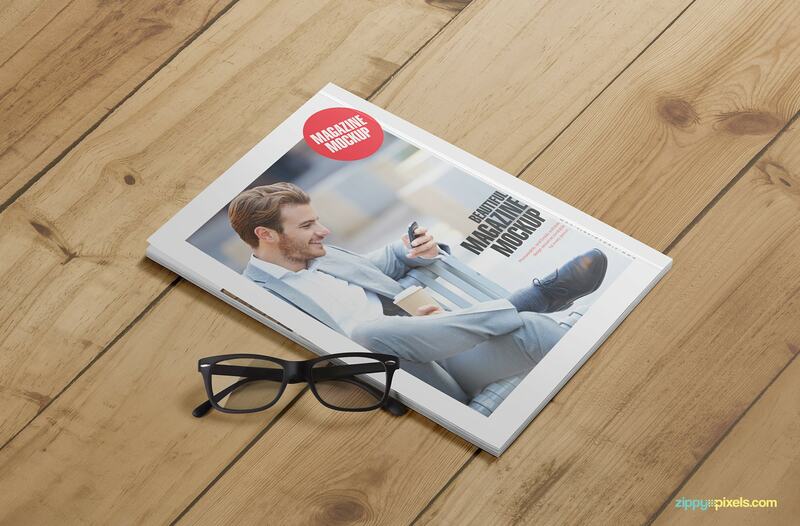 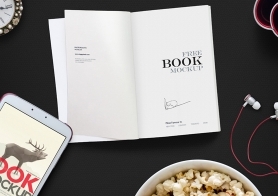 Beautifully designed magazine cover mockup with an editable pair of glasses. 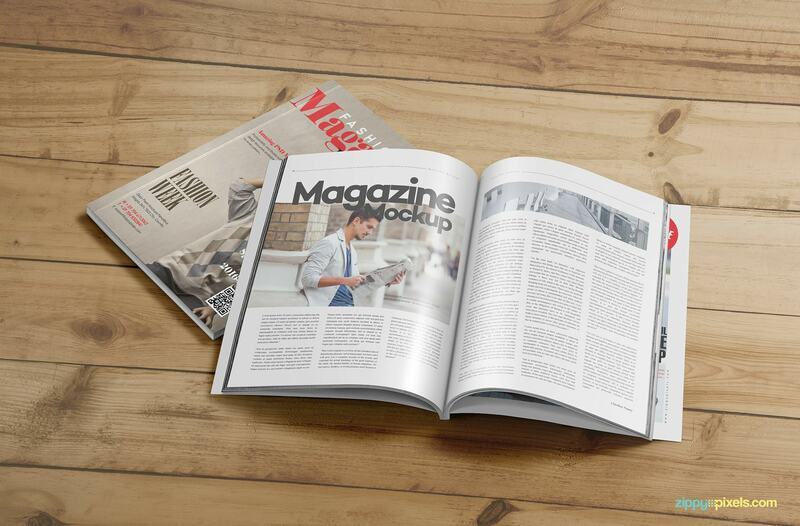 High detailed magazine mockup in spread view with turning pages. 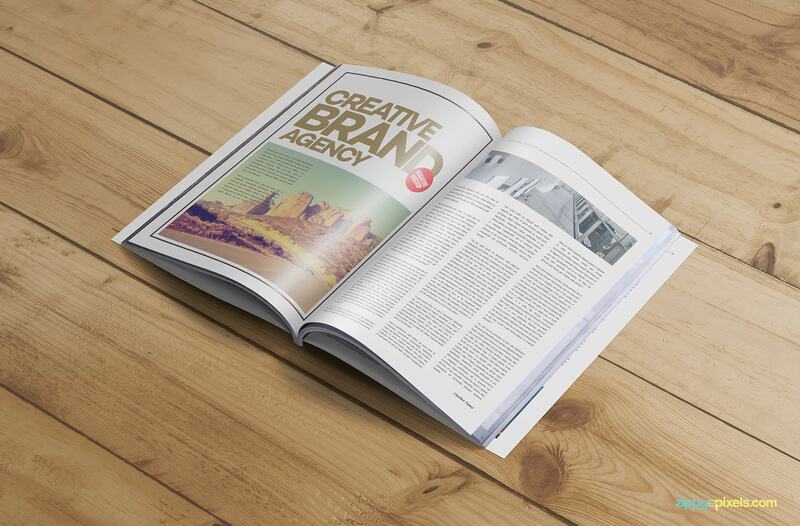 Open magazine mock-up with a full page ad design. 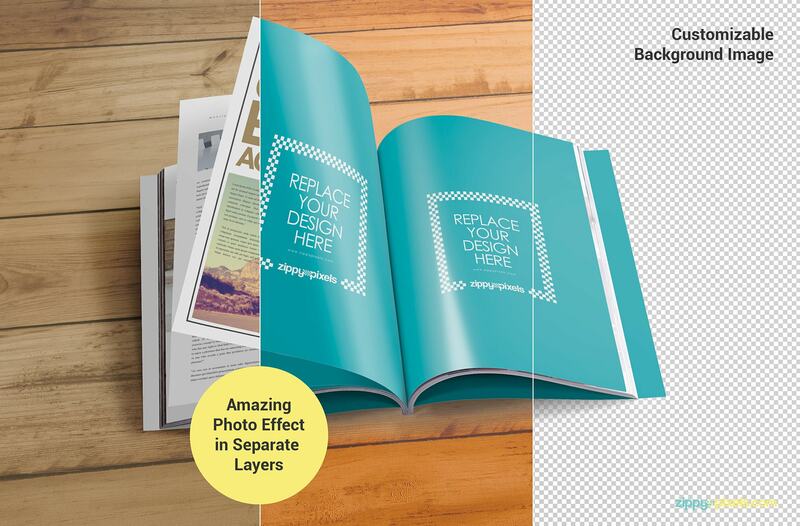 PSD magazine mock up showcasing the cover page and inner page design. 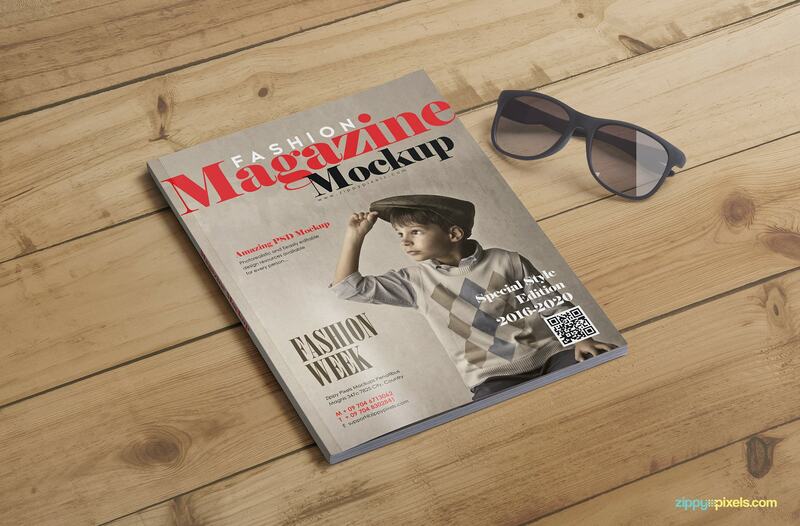 Fashion magazine mockup with flipping pages. 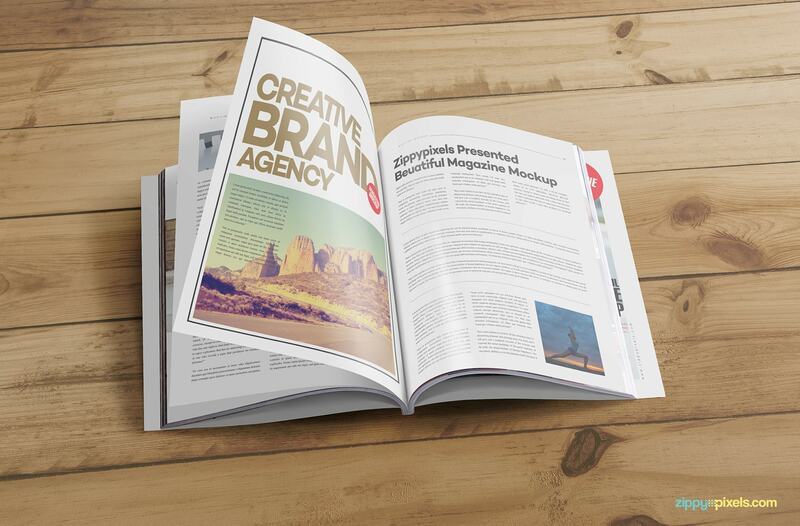 US letter size magazine mockup that can be used to present all types of industries. 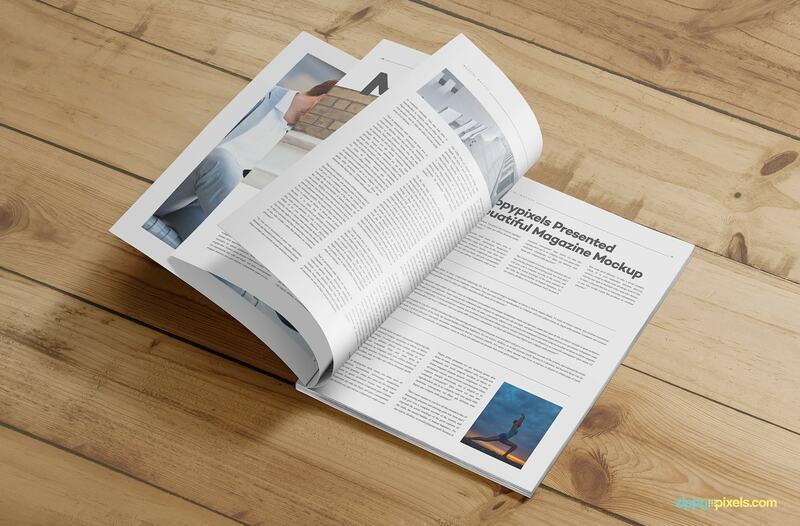 Another view of the open magazine mockup PSD in sideways. 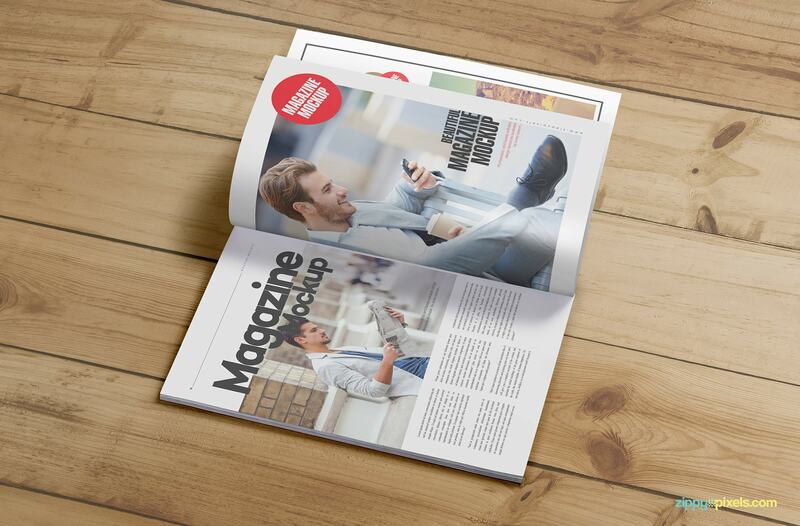 Premium magazine mockup with a pair of glasses that can be adjusted to your design needs. 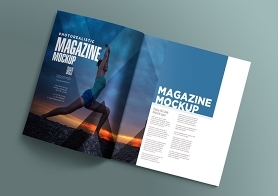 A pair of two magazine mockups in open and closed formations. 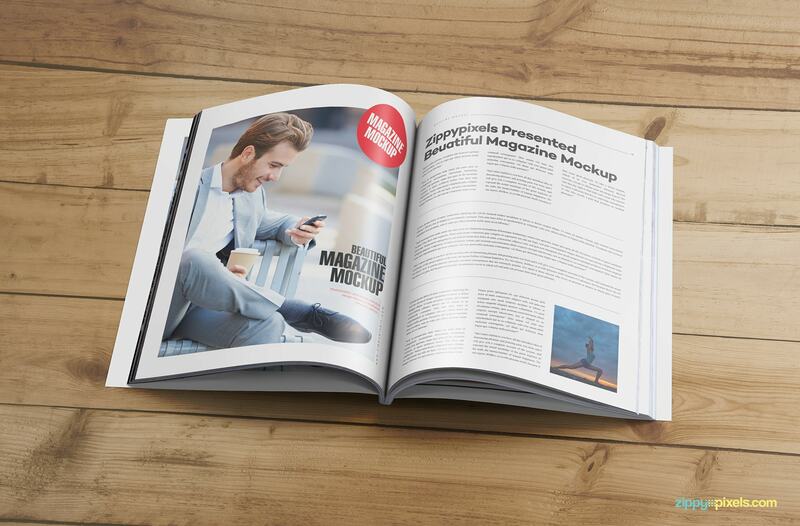 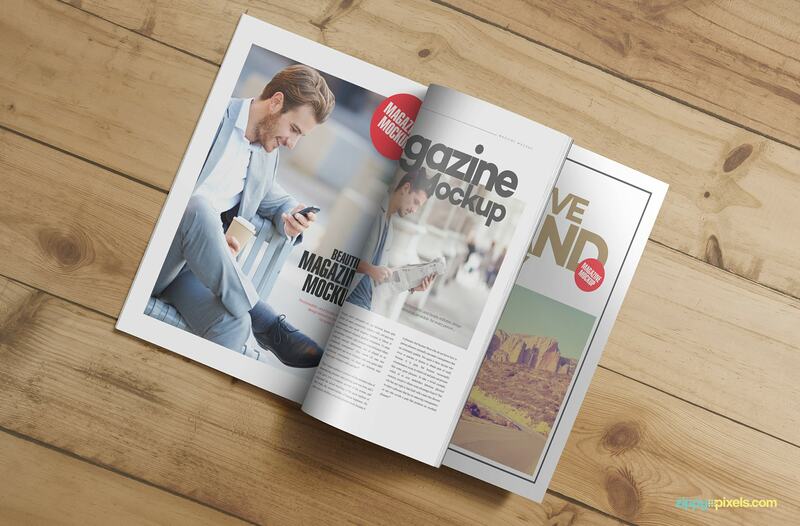 Photorealistic PSD magazine mockup highlighting the front and back cover in a upside down position. 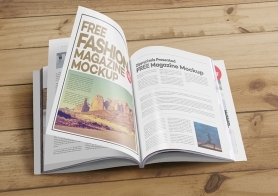 Folded view of the fashion magazine mockup. 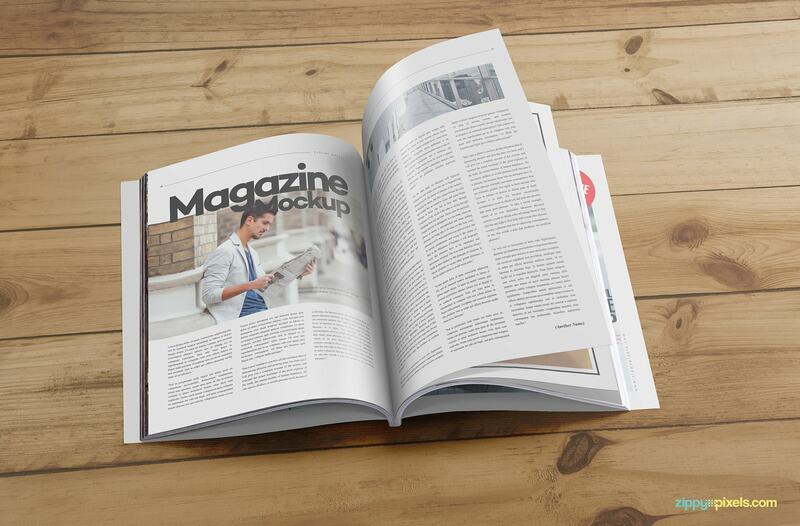 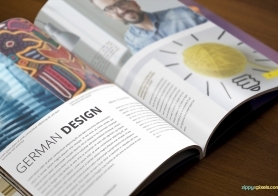 Editable magazine mock-up with a realistic view of turning pages. 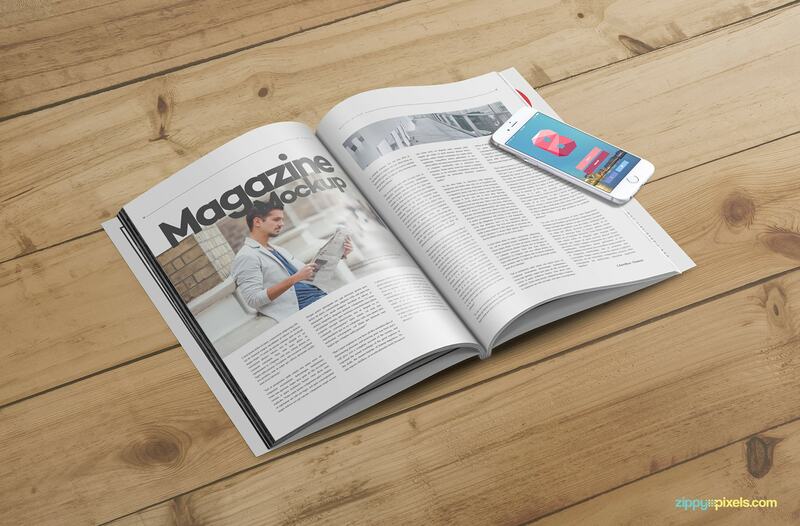 Open magazine mockup paired with an iphone 6s mockup featuring customizable screen design. 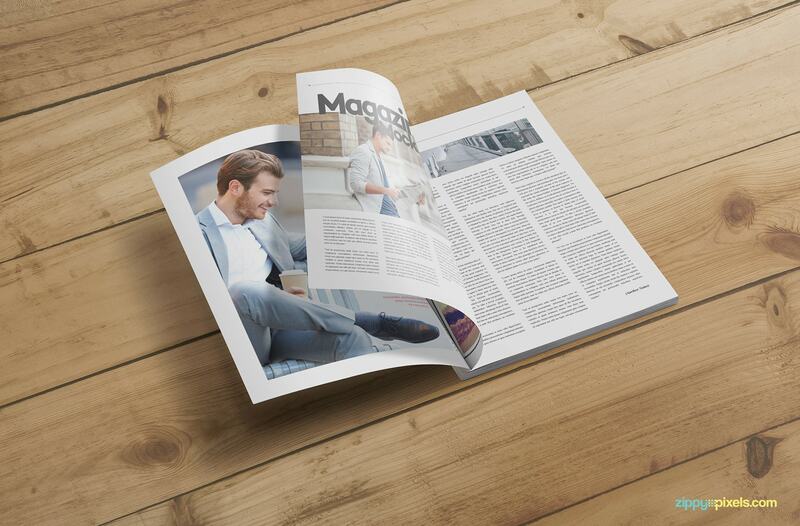 Spread view of the magazine mockup from a reading perspective. 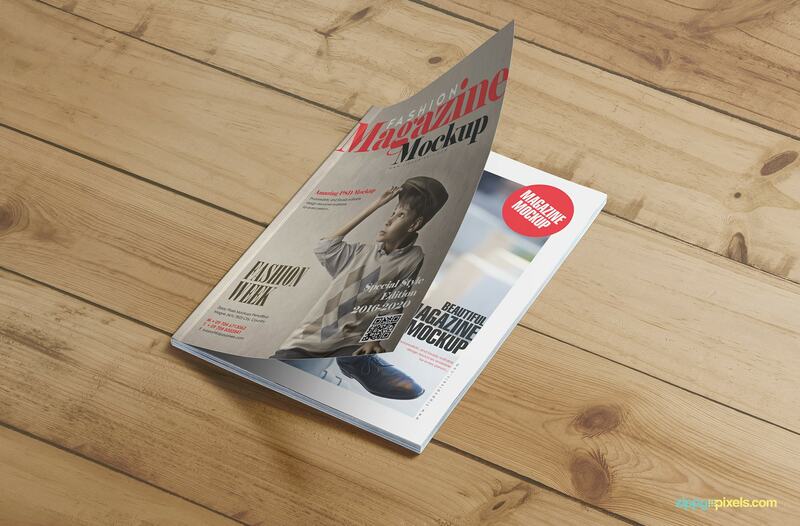 An angled shot of the open mag mockup PSD.